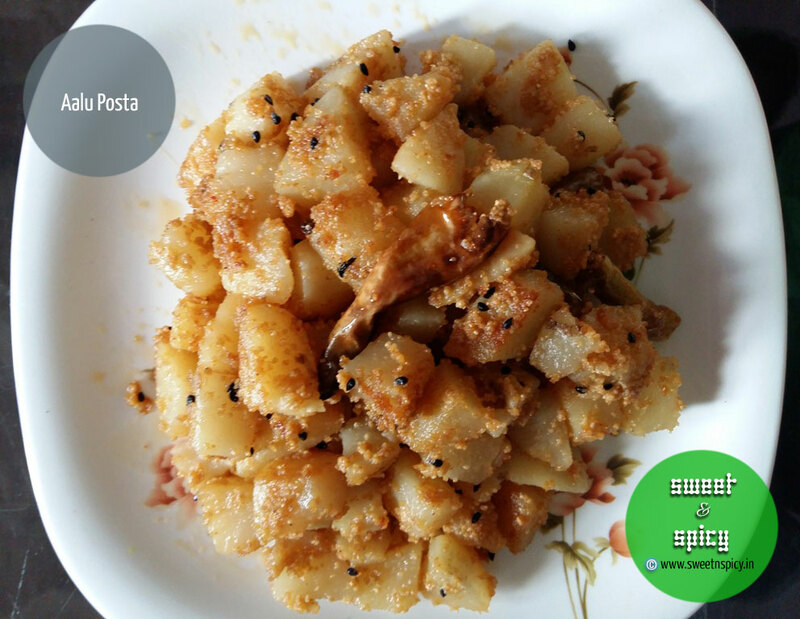 I don't know why but Aloo Posta (Potatoes steamed and stir-fried with a paste of poppy seeds) has been my most favourite dish ever since I understood the meaning of taste. I still get flashbacks of my childhood days when mummy would have kept this dish ready for lunch as a prize on days when our exam results were to be declared. It was her way of rewarding me but more as a token of love. I still cherish those days. It will be next to impossible for me to replicate Mummy's Aloo Posta, but I gave my best today and this is how it turned out.